Making an impact with style need not always be elaborate or flamboyant. With the right inspiration, it can be simple yet still appear significant. Transparent materials are showcasing everywhere, from fashion to furniture, the popularity for clear acrylic is soaring. In this post, we’re going to focus on the latter as we determine why clear acrylic furniture is so sought after in interior styling. Here’s our four reasons why you should feature this trend into your interior design. The main benefit of acrylic furniture is the visual transparency of the material which can be styled into any home interior to complement all and any features! Whether you’re undergoing a complete refurbish or making few changes, clear acrylic furniture will fit into bedrooms, bathrooms, lounge areas and kitchens. No matter what décor you currently have, acrylic furniture is the easiest and most versatile piece to weave into any home interior. The see-through material enables effortless styling with a variety of interior colours, hues, patterns and design approaches. 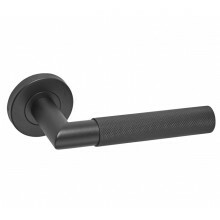 For an alternative look, go dark with knurled matte black door handles as the textured appearance offer layers of visual depth. 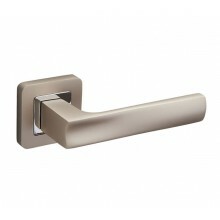 These handles feel robust and hefty in the hand offering an element of masculinity to the interior. Rooms that display clear acrylic create an opportunity to experiment with unconventional statement pieces. Style up internal doors with square rose door handles, the matte champagne finish highlighted with a reflective inner rose will appear striking and chic in contemporary properties. Style your interior with a clear acrylic side or coffee table, placing a plant, candles and coasters on the surface. Acrylic shelves are an excellent feature in rooms with big prints and busy patterns as they blend seamlessly into the walls, possessing a weightless quality. Perfect for smaller spaces, clear acrylic furniture can be used as a perceptive tool to maximise the illusion of space whilst adding function and comfort. For kitchens and quaint dining areas, incorporate acrylic chairs for their sleek lines to reduce visual depth. Kitchen bar stools are a stylish addition to any kitchen island; however, they can often appear bulky. To solve this issue, place acrylic stools by the bar to generate a unique and deluxe appeal. 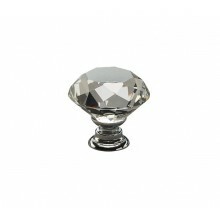 For a high-end and exclusive aesthetic, place luxury crystal drawer knobs to wardrobes, drawers and cabinet doors. The angled surface captures and reflects light around the room, adding to the open and airy aesthetic that clear acrylic furniture creates. Like any piece of high quality, acrylic furnishings need to be cared for and it’s ever so easy to maintain. A build-up of dust around the house is common, use a soft damp cloth to wipe away the dust and dry the surface with a microfibre cloth to prevent scratching the acrylic layer. For dirtier surfaces, mix warm water with a mild shampoo and use this solution to clean. Blot the clean area dry with a microfibre cloth. The simple low maintenance properties of acrylic furniture offer a child and pet friendly solution for home furnishing. Acrylic drawers are a great solution for organising makeup, medicine, stationary, jewellery and other small objects. The transparent material imitates the appearance of glass whilst offering increased durability and impact-resistance, making it ideal for home furniture. With clear acrylic drawers, you will never lose your belongings again! That’s a rather definitive statement to make, but perhaps see-through drawers will aid in lowering the chance of your items straying! We hope to inspire your refurb projects and showcase a variety of high-quality products that excel in both aesthetic and performance. For more interior inspiration, check out our previous blog 3 Solutions for Styling a Small Bedroom and see how you can feature clear acrylic furniture.